FROM THE CASTLE TO THE VILLA: THE BIRTH OF OF THE VENETIANS VILLAS CIVILIZATION Special tours to discover the Castle of Thiene and its most secret places Thiene Castle is an outstanding unique example of pre-Palladian villas, the only one of its kind, the benchmark in the evolution of the Venetian villas. On the occasion of the Expo 2015, we organize special tours related to the theme of the water use in the villa which leads to discover the secret parts of the castle and its park. All the rooms are still fully furnished and have an extensive collection of family portraits; of great importance is the cycle of frescoes by G. Battista Zelotti and G. Antonio Fasolo, the two most important pupils of Paolo Veronese. In the 'private' rooms clothes, accessories and everyday objects. A fascinating and inusual collection of equestrian portraits and beautiful stables built at the beginning of the XVIII cent., designed by the Arch. Francesco Muttoni. On the front of the main facade beautiful magnolia's garden surrounded by barns. On the backyard the large park with cedraia, canal and elliptical XVI cent. grotto. It is possible to experience life in the Castle by staying overnight in this exclusve historical structure that still belongs to the family. 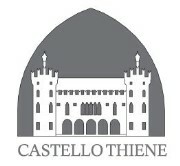 For those who has the Expo ticket and want to overnight in the Castle, the visit is free.